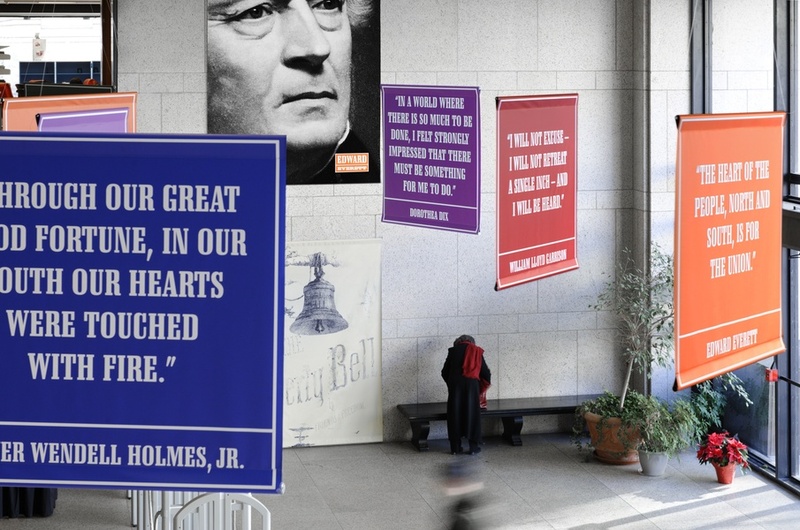 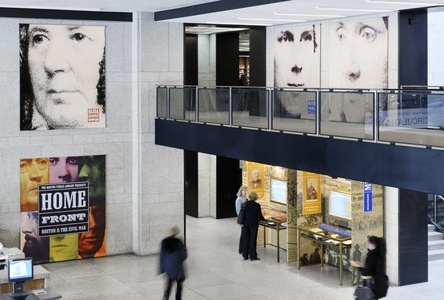 The Boston Public Library hired C&G Partners to create an exhibition of artifacts and media shows about ten real individuals from the Boston area during the Civil War.Ranging from nurses to soldiers, abolitionists to authors, each person profiled has a remarkable and memorable history. 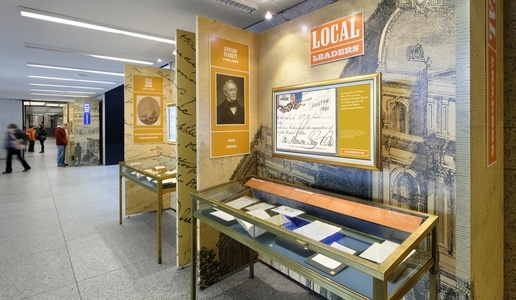 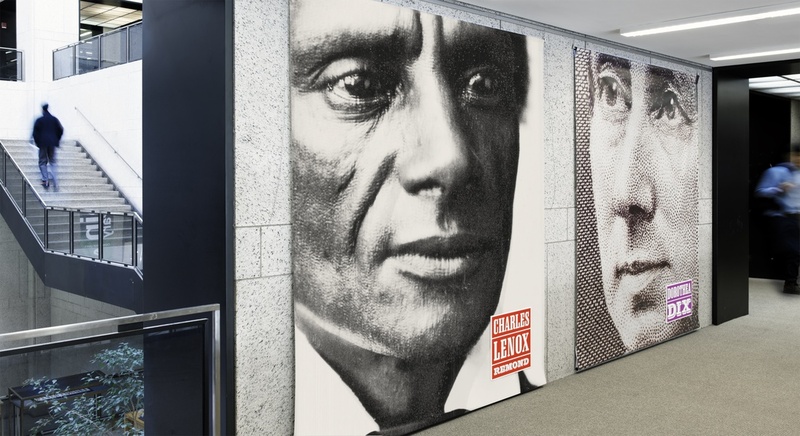 The exhibit project included a series of object-rich antique display cases, a cloud of historic quotes overhead, wall-size cropped portraits, and a set of motion graphic mini-documentaries presented in gilded frames. 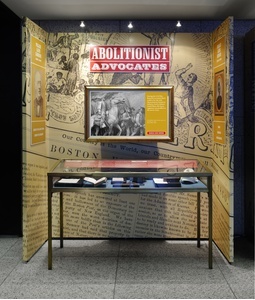 A strong brand identity system and color palette were used for the exhibit, related media and advertising.